NEW YORK – You don’t have to be gay to be a victim of homophobia. The Sucuzhañay family knows this all too well. Two years ago, José Sucuzhañay, an Ecuadorian immigrant, was brutally murdered on his way home from a party in the Bushwick area of Brooklyn. José and his younger brother, Romel, were walking arm-in-arm when two men driving an SUV mistook the brothers for a homosexual couple. Witnesses reported that the two men yelled racist and homophobic slurs at the brothers and then attacked them. José was badly beaten and died in the hospital the next morning. Both attackers were recently sentenced to 37 years in prison. 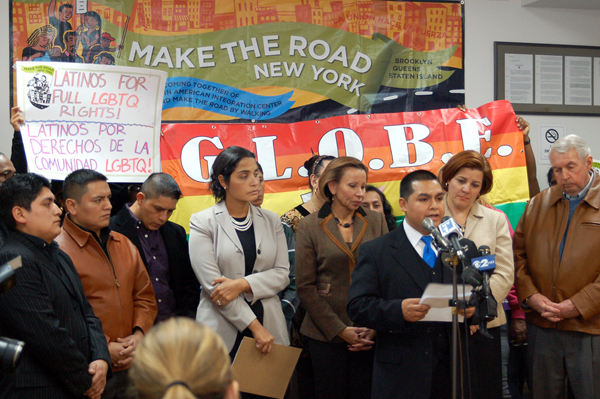 José’s murder served as a shocking example of xenophobic and homophobic hatred in New York City, and revealed how being perceived as both a homosexual and an immigrant can put people at particular risk. On Saturday, Make the Road New York held a candlelight vigil commemorating the second anniversary of José’s death. Among those attending were Congresswoman Nydia Velázquez, City Council Member Diana Reyna, City Council Speaker Christine Quinn, Kings County District Attorney Charles Hynes, community leaders, and José Sucuzhañay’s family and friends. Diego Sucuzhañay gave an emotional speech, attesting to the incredible loss his family suffered, and repeatedly connected both homophobia and racism to his brother’s death. “Homophobia is as horrible as racism. Our brother was not the first nor the last victim of hatred in our community,” Sucuzhañay said. Congresswoman Nydia Velázquez, who consistently supports hate crime legislation, discussed initiatives by both government and community leaders to combat hate crimes. She advocated for programs that do more than incarcerate felons. 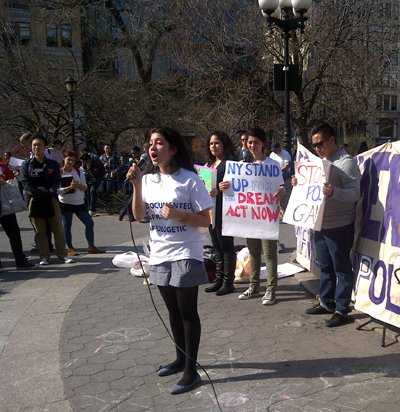 “We seek justice not just through punishment, but justice through education,” said Velazquez. Speaker Quinn, who is openly gay, applauded the Sucuzhañay family’s efforts against hate crimes. “The family could have decided to make the point that [José] wasn’t gay. But they didn’t, because they want you to know that hate killed him,” Quinn said. 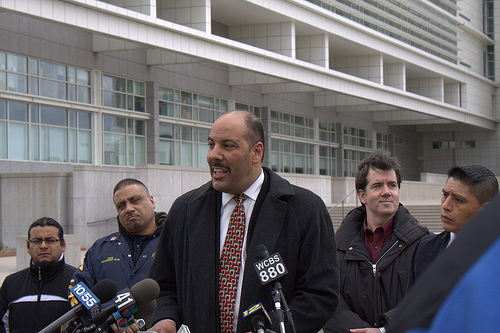 District Attorney Hynes discussed Brooklyn’s Hate Crimes Task Force, a project he spearheaded. The task force provides a 24-hour hotline that enables people to report crimes they are uncomfortable discussing with police, as well as social workers to provide support for victims. The vigil came just before two men were charged on Wednesday with an alleged hate crime against a Muslim imam on the subway, and two months after gang-related homophobic attacks in the Bronx and anti-gay incidents in Greenwich Village. A recent report from the Southern Poverty Law Center shows that homosexuals are the most frequent victims of hate crimes. Overall, the number of hate crimes reported in the U.S. decreased in 2009, according to a recent FBI report, but hate crimes in New York City remain high. In 2009 New York ranked second only to California in number of hate crimes, with 626 reported last year. New Jersey was a close third. This is the second Christmas the Sucuzhañays will spend without José. In the years since his death, the family is still struggling to heal. “We strive to return to normality, but things will never be the same,” Diego said at Saturday’s vigil. To commemorate José’s life, and honor his death, the Sucuzhañay family has created the José Sucuzhañay Foundation. “The foundation will donate a percentage of income each year to provide financial support to those [families] who’ve been victims of hate crimes,” said Diego Sucuzhañay. Von Diaz is a Feet in Two Worlds LGBT fellow. Her work, and the work of other Fi2W fellows, is supported by the New York Community Trust and the John S. and James L. Knight Foundation with additional support from the Mertz Gilmore Foundation. Von Diaz is a writer and radio producer based in New York City. She is a self-taught cook who explores Puerto Rican food, culture, and identity through memoir and multimedia. Her work has been featured on NPR, American Public Media, StoryCorps, WNYC, PRI’s The World, BuzzFeed, Colorlines, and Feet in 2 Worlds. Von has an M.A. in journalism and Latin American and Caribbean studies from New York University. A graduate of Agnes Scott College, she earned a B.A. in Women’s Studies and focused her research on women in Latin America. She is a currently a producer at StoryCorps, and previously worked in community advocacy and communications for nonprofits focused on women, children, art, and Latino culture. 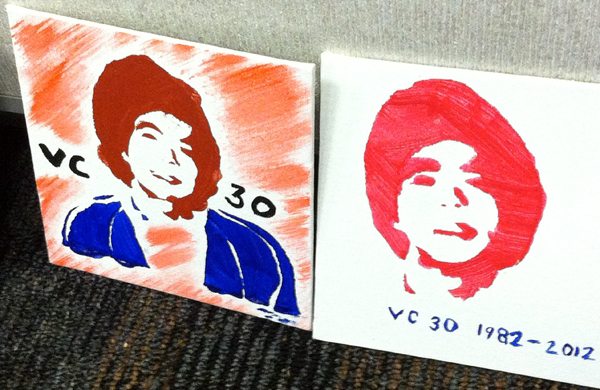 30 Years After the Murder of Vincent Chin: Where do Asian Americans Stand?